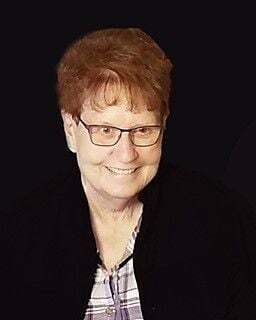 STEVENSVILLE — Karen Rhae (Brechbill) Metully passed away at her home peacefully Aug. 4, 2018, from natural causes. She was born Aug. 29, 1940, in Missoula and resided in Stevensville most of her life. She was preceded in death by her beloved husband Frank Metully, sister Glenda Ginoff and father Charles Brechbill. Karen was hard working not only at her various jobs but also farming and ranching. When Karen wasn’t working she enjoyed horseback riding, camping, gardening, and was an amazing seamstress. As her children grew up and moved on she enjoyed traveling to their many locations. Later in life Karen’s children moved back to Stevensville and she enjoyed being surrounded by family and attending the grandchildren’s many extracurricular events. Karen also enjoyed meeting family and friends for breakfast at the Stevi Café. She is survived by her half-sister Vickie Larson, children Sandra (Ron) Huetter, Donna (James) Bays, Duane “Skip”(Suzanne) Leese, grandchildren Samantha, Charlene, Mersadiez, Dustin and Sierra and six great grandchildren. She will be deeply missed by her children, grandchildren, great grandchildren, many family, friends and beloved pets Sissy, Buddy and Friskie. Graveside services will be held at Sunnyside Cemetery on Aug. 18 at 1 p.m. with a Celebration of Life immediately to follow at Lone Rock Church. Condolences and memories may be shared with the family at whitesittfuneralhome.com.